Whether you’re dining on the spacious sun deck or in our cosy restaurant – we look forward to the opportunity of delighting you with our cuisine. But we’re equally happy to quench your thirst or indulge your sweet tooth. From a light snack to a hearty evening meal or a multi-course gala dinner accompanied by select wines, you’ll find we have everything you could possibly want! We serve hot dishes throughout and also offer our premises on a rental basis for events and private functions. 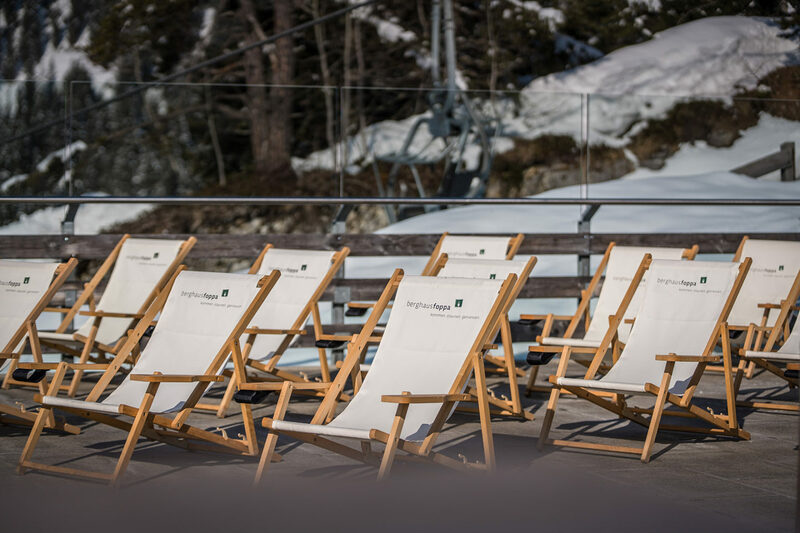 To be honest, we’re already a little bit proud of our spacious sun deck with its magnificent view of the Flimserstein Plateau, the Cassonsgrat Ridge, the surrounding valleys and the Grisons Alps. Because, of course, it’s also the panoramic view that makes staying with us an experience. This is why we’re also invariably delighted when so many guests linger and savour their time with us. We’ve recently renovated our traditional dining room ‘Stübli’, but we’ve preserved its quaint charm. The new panoramic windows let in an abundance of light and also afford a magnificent view. 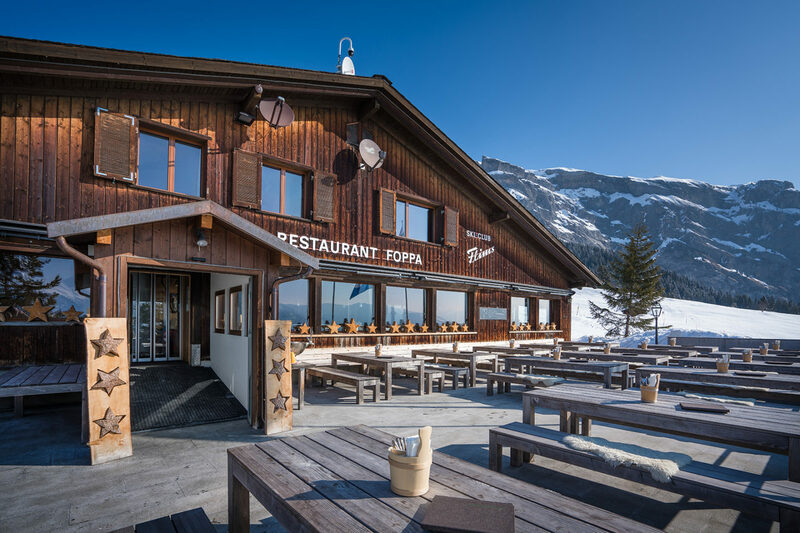 The scent of freshly felled timber lingers in the air here, enticing many of our guests to indulge in a raclette or a fondue, especially in the winter. The dining room seats 34, and group reservations are also welcomed. In search of a touch of luxury or a little privacy at Berghaus Foppa? We take care of that, too. The welcoming ‘Stivetta’ with its large table can seat eight comfortably and has a separate entrance that leads to the sun deck.